Take warning Windows 7 users, hacker and malware attacks are on the rise as new ways to exploit security flaws are found. Windows 7 is the most popular operating system since Windows XP making the market for exploitation desirable for those who physically hack computers or create malicious programs designed to infect your Windows 7 operating system. This information comes directly from a Microsoft malware report which reported a 30% increase of attacks on Windows 7 while Windows XP users saw a decrease of malware attacks by 20%. Within hours of a vulnerability discovery in a Windows operating system is found hackers are busy at work either directly attacking susceptible computers or distributing malicious programs that are downloaded by the user. The disconcerting thought about malware is users don’t even have to physically click or open any files to be infected. Many of the security vulnerabilities that are exploited by hackers and malicious programs occur between the interactions between the Windows operating system and the browser. This means that even if you have an optimized Windows 7 system a computer infection can still occur if your browser is not secure. 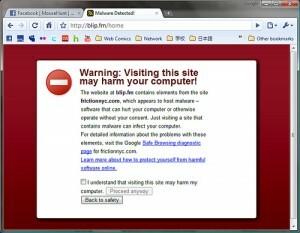 There have been spikes in websites reported to infect computers and these websites often are created around keywords that are innocuous and popular like “puppy pictures” or “cooking recipes.” A normal Internet user would visit a website expecting to look at cute puppy pictures but would instead have a virus, malware application or spyware installed on their computer without so much as a click or message of consent. Again, this can occur even if you have an optimized computer. Once a computer is infected a multitude of different things can occur. Older types of viruses and malware were simply created as intellectual flights of fancy by hackers to show the software engineers that their software was imperfect. These hackers eventually changed the nature of the programs to become first an annoyance to the user of an infected computer by slowing the computer down or playing other games with the computer user. Then came waves of destructive viruses that deleted files and replicated itself onto different portions of a computers hard drive making it difficult to remove. This type of virus or malware program has since been replaced with the latest type of malware created with the intent of stuffing the pockets of its hacker creators or distributors. These new malware programs or viruses sit silently in the background collecting information like credit card numbers, passwords to Facebook or e-mail and relay the information back to the hackers which then turn around and sell the information in bundles to other criminals. How can you protect yourself? Ensure that both your Windows 7 computer is optimized with the latest Windows Update and also ensure that your Internet browser is also updated to the latest version to help prevent browser attacks. This will help prevent vulnerabilties detected by hackers to be exploited in your system as it does take some time for the discoveries to be made. Microsoft actively patches security holes in its operating system as well as Internet Explorer browser, and other companies like Mozilla and Google update and patch their Internet browsers, Firefox and Chrome, respectively.